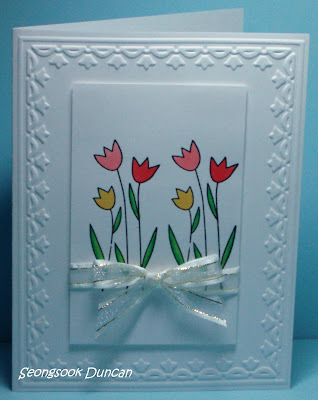 I made these cards for OWH S&S Midweek Throwdown Challenge - White on White With A Pop of Color. I liked the first card with single layer at first time. Then I noticed that the challenge was White on White. 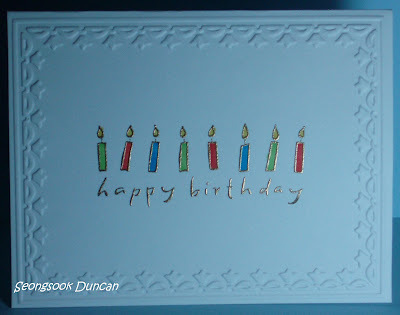 So I cut out the image and added it on top of the second card. The gold embossing didn't come out well in the photo as much as I expected. 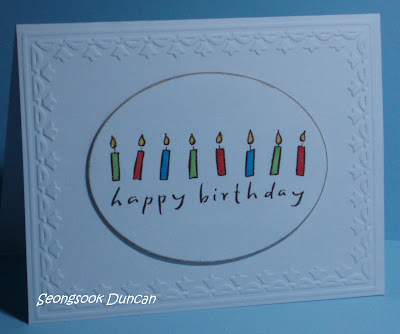 I like this white on white card layout as I made one the other day before the challenge started. Here is the photo again. I love it. Wow these are beautiful! Your favorite is mine too! Thanks for playing in our challenge at Operation Write Home! 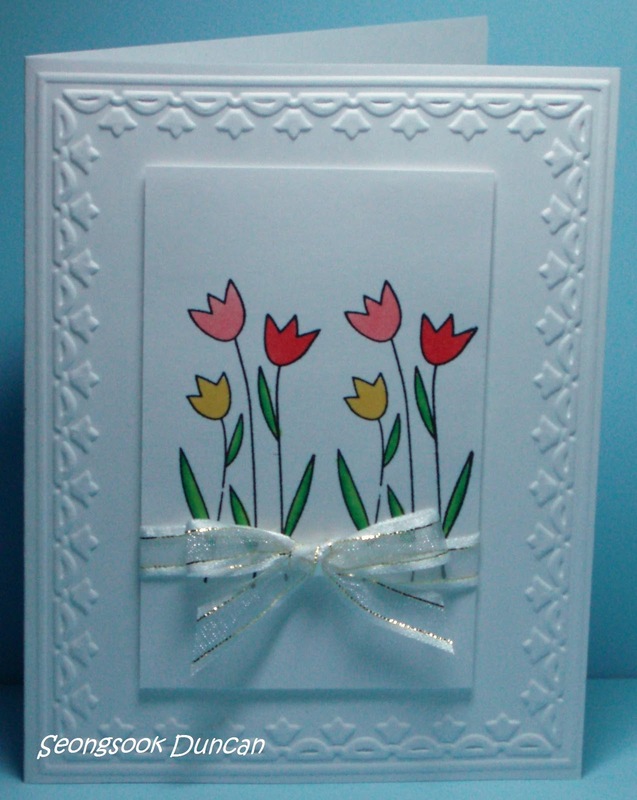 What a beautiful card, Thanks for joining us at The Hodge Podge Shop!